Rabbi Chaim Druckman protests the injustice of the impending demolition of homes in Netiv Ha'avot. 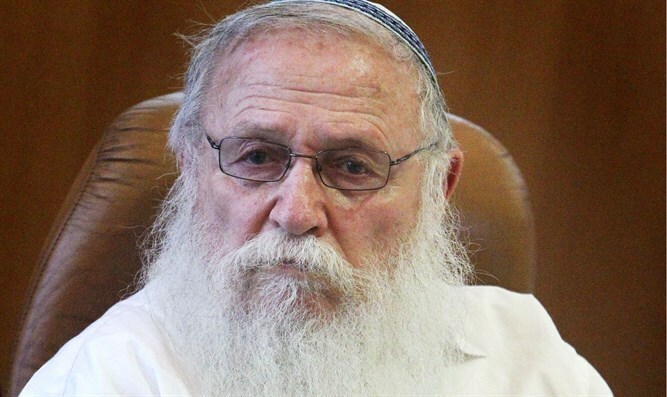 Rabbi Chaim Druckman, the president of the Bnei Akiva yeshivot, took part on Monday evening in a protest rally against the demolition of homes in the Netiv Ha'avot neighborhood of Gush Etzion. "We came here first and foremost to protest against an injustice. Every demolition is an injustice, but the demolition here is a double injustice. If someone came to Tel Aviv and brought proof that the land on which the Azrieli Towers were built is theirs, would it be conceivable that someone would order that the tower be destroyed? Would a court rule that? What would they say? They would say ‘pay compensation and the tower will remain in place,’” said the rabbi. "Here, let’s say that part of the land belongs to someone, will he take the land and build here? This is demolition for the sake of demolition, and this injustice is done with legal backing. The Supreme Court for Justice, this is justice? This is evil. We have to speak out against this,” he continued. "I hope very much that this will not happen again. This land belongs to us, the truth is with us and the future is ours," Rabbi Druckman concluded.